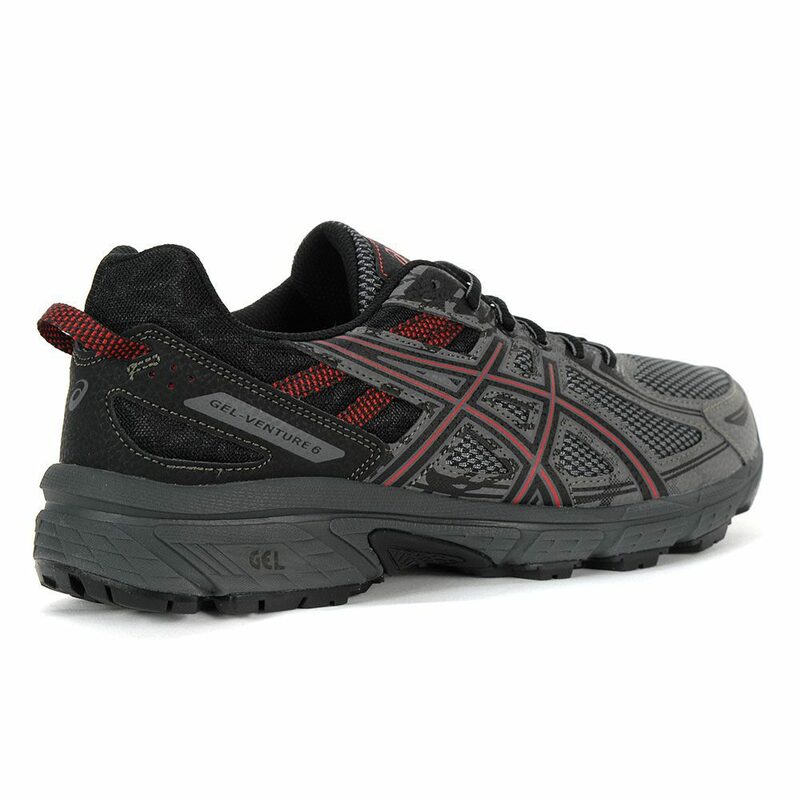 Asics’s GEL-Venture 6 trail shoe features a totally redesigned midsole and upper construction designed for everyday comfort and fit for a variety of terrains. 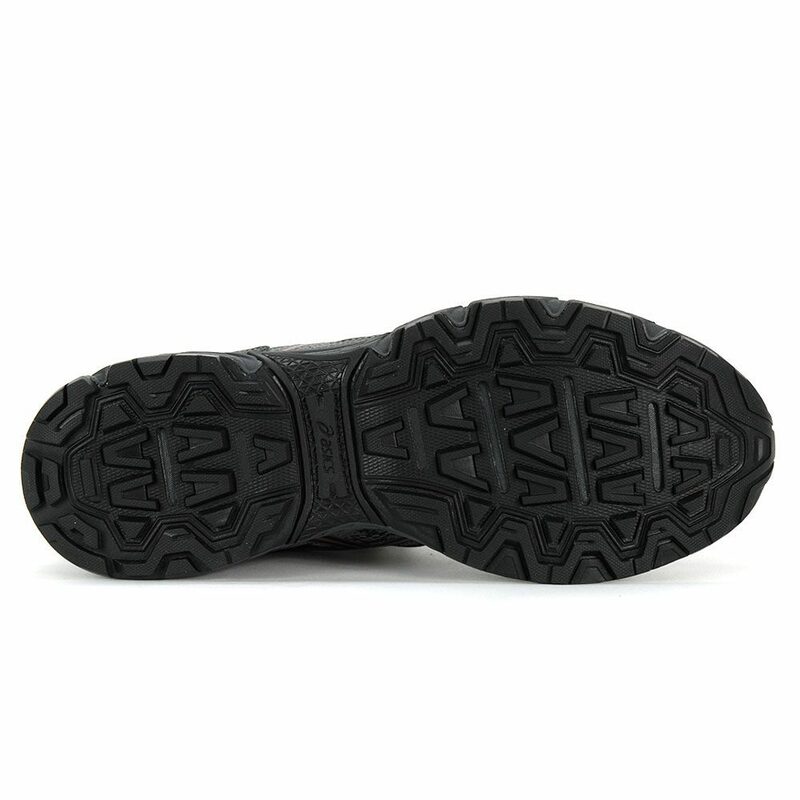 Rearfoot GEL cushioning provides excellent shock attenuation and a one-piece outsole with aggressive multi-directional lugs provide inspiring traction. 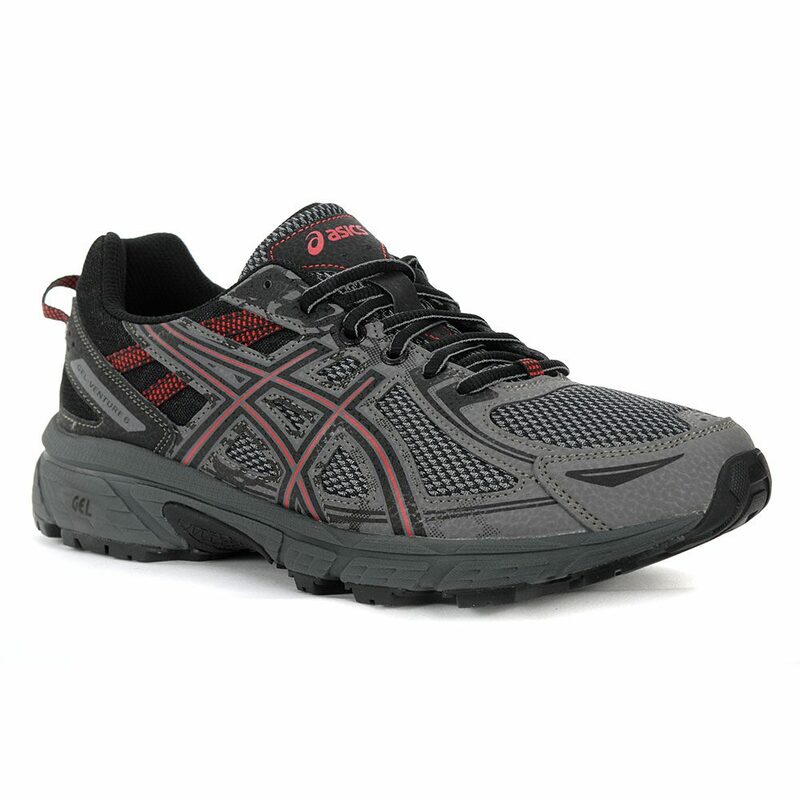 The upper utilises synthetic materials with a stitched down toe bumper for added durability and toe protection.